There’s a new car and truck wash business that promises to deliver a unique vehicle cleaning experience in Greater Richmond. Greater Richmond- July 14, 2016 –There’s a new car and truck wash business that promises to deliver a unique vehicle cleaning experience in Chesterfield County, Richmond City, Hanover County, Colonial Heights City, and Petersburg City. 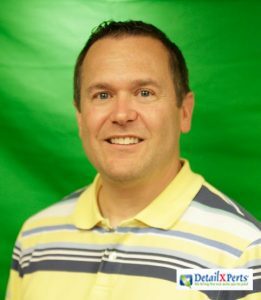 DetailXPerts of Greater Richmond, owned and operated by David Barlow, former executive in a nationwide omnichannel retailer, is confident that his car and truck wash business will offer something different to vehicle owners in the area. His edge lies in his successful career in the retail industry as proven by the following awards: Store Manager of the Year, Top Service Score Performance Award, Operations Excellence Award, and Richmond Holiday Store Leadership Award; and in his extensive experience in training and coaching people to help them achieve their personal goals. He knows that well-trained, highly motivated employees are the foundations of a successful business. So how unique is this car and truck wash business? First, it offers a unique steam cleaning process that removes even the toughest dirt, grime and mud in half the time it takes for traditional car washes to do so. Second, this process protects the health and wellbeing of vehicle owners and their passengers, due to their use of all organic materials that do not leave toxic chemical fumes behind. This also translates to no chemical runoff that can pollute the environment. Third, it promotes wise water usage. DetailXPerts can clean an entire car with only a pint of water and five gallons for a huge truck. Fourth, but not the least important, is Barlow’s innate love for people. He is excited to treat their new employees like family and offer them the opportunity to learn their unique and proprietary methods of detailing residential vehicles as well as fleet trucks/cars. He will give them the opportunity to grow and advance with the company all the way up to potentially owning their own franchise territory. “My background is developing and coaching people to achieve their professional and personal goals and this will be foundation for developing a successful business- our people are our biggest asset and will be the sole reason for our success,” he says. Aside from car and truck wash services, DetailXPerts of Greater Richmond will be offering truck washout, hand car wash, interior detailing, and fleet wash in Chesterfield County, Richmond City, Hanover County, Colonial Heights City, and Petersburg City. Other lines of service include boats, motorcycles, buses, and more. Businesses are welcome to inquire for special rates and long-term relations. You can easily reach them at 804-510-0884 and schedule your free demo!